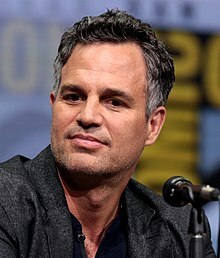 Mark Alan Ruffalo (/ËˆrÊŒfÉ™loÊŠ/; born November 22, 1967) is an American actor, filmmaker, and activist. He made his screen debut in an episode of CBS Summer Playhouse (1989), followed by minor film roles. He was part of the original cast of This Is Our Youth (1996), for which he was nominated for an Independent Spirit Award. He starred in and was the co-executive producer of the 2014 television drama film The Normal Heart, for which he was nominated for the Primetime Emmy Award for Outstanding Television Movie and he won the Screen Actors Guild Award for Best Actor in a TV Movie.